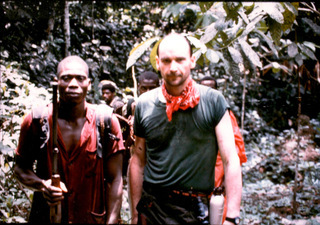 rory nugent IS A WRITER AND AN EXPLORER . HIS WORK TAKES INVENTORY OF THE DEEP SHADOWS CAST BY WAR AND BY TRADITIONS GONE MISSING AND ABOUT TO GO MISSING. HIS FINDINGS HAVE APPEARED IN NEWSPAPERS AND MAGAZINES AROUND THE WORLD, AND IN HIS THREE BOOKS: DOWN AT THE DOCKS (PANTHEON, 2009); DRUMS ALONG THE CONGO (HOUGHTON-MIFFLIN, 1993); THE SEARCH FOR THE PINK-HEADED DUCK (HOUGHTON-MIFFLIN, 1991). nugent, 66, WAS BORN IN NEW YORK. HE GRADUATED FROM WILLIAMS COLLEGE (BA, 1975) AND ATTACHED HIMSELF TO THE SEA. 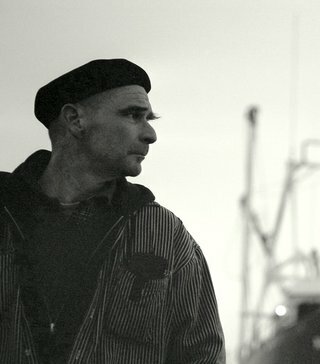 HE SHIPPED OUT ABOARD FREIGHTERS AND CANVAS-FLIERS AND WAS A PARTNER AT DAFY DUCK MARINE, THE BUILDERS OF A MOTOR BOAT GUARANTEED TO SINK (THE ORCA IN THE MOVIE JAWS) AND SAILBOATS THAT TURNED THE BOATING INDUSTRY ON ITS HEAD (NEWICK DESIGNED VAL CLASS TRIMARANS). AS A SEAMAN, HE MADE HIS BONES EARLY ON, THE YOUNGEST ENTRANT IN THE 1976 OBSERVER SINGLEHANDED TRANS-ATLANTIC RACE (OSTAR). HE FINISHED OUT OF THE MONEY, BUT STAYED IN THE GAME AND WENT ON TO MAKE 4 SOLO OCEAN CROSSINGS. 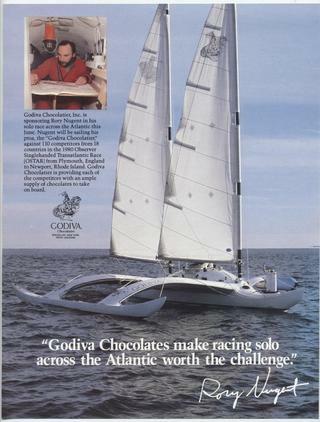 HIS FIFTH PASSAGE ABOARD THE RACER GODIVA CHOCOLATES, IN 1980, ENDED IN SHIPWRECK SMACK DAB IN THE MIDDLE OF THE DRINK. HE WAS RESCUED FIVE DAYS LATER AND 28 POUNDS LIGHTER. 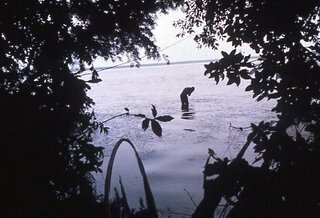 NOT WANTING TO SWIM ANYMORE, nugent TOOK TO FIELD RESEARCH AND SET OUT TO DOCUMENT SOME OF NATURE'S NUMINOUS WONDERS BEFORE THEY VANISHED FROM MAP AND MIND. HE MOUNTED A ONE MAN EXPEDITION IN SEARCH OF INDIA'S MISSING JEWEL, THE PINK-HEADED DUCK. AFTERWARD, HE SET OFF ALONE TO CONTACT NESSIE'S AFRICAN COUSIN, MOKELE-MBEMBE, THE BRONTO OF THE CONGO. HE MAY HAVE SEEN BOTH. HE REMAINED ON THE TRAIL OF THE ELUSIVE AND SPENT MONTHS SCOURING THE ANTI-ATLAS REGION FOR A DESERT BLOOM BELIEVED TO FLOWER EVERY 250 YEARS. THAT SEARCH CONTINUES. HIS JOURNEYS LED HIM INTO UNCHARTED TERRITORY (LIKOUALA BASIN), DOWN GREAT RIVERS (BRAHMAPUTRA; NILE--WHITE AND BLUE; UELE/UBANGI; SOBAT), THROUGH DESERTS (GREAT WESTERN ERG AND GREAT SAND SEA), AND INTO A RARELY SEEN WORLD ABOVE THE CLOUDS, IN THE HIMALAYAS. HIS FIRST TWO BOOKS DETAIL SOME OF HIS DISCOVERIES. IN 1992, nugent SHIFTED GEARS AND BEGAN WORKING FULL-TIME AS A JOURNALIST, HIS BEAT THE NIGHTMARE, HIS QUEST THOSE ELEMENTS ALLOWING IT TO PROSPER. FOR THE NEXT TEN YEARS, AS A FREELANCER AND STAFF WRITER FOR SPIN MAGAZINE, HE TRACKED NITWIT GENERALS AND THEIR LOUSY WARS IN EUROPE, AFRICA AND ASIA. HE BECAME INTIMATE WITH BOTH THE PRIESTS AND PROPHETS OF INTOLERANCE, ALONG WITH THE DEMONS THAT RISE OUT OF BULLETS, MACHETES, FAMINE AND KILLING FIELDS THE SIZE OF TEXAS. HANDY WITH A CAMERA, nugent TOOK THE PICTURES THAT ACCOMPANIED ALL HIS WRITING ASSIGNMENTS. 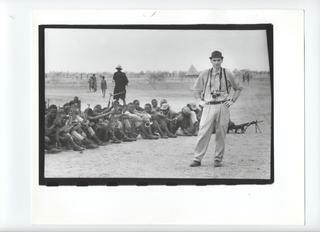 HIS PHOTOS AND NEWS STORIES MERITED ROUTINE INCLUSION ON SHORT-LISTS FOR ANNUAL JOURNALISM AWARDS. SOME OF THOSE STORIES REMAIN STANDARDS, LIKE HIS SERIES ON THE CIVIL WAR IN SUDAN, ALONG WITH HIS REPORTS FROM INSIDE THE IRA AND HIS DISPATCHES FROM INSIDE THE WHEELHOUSE TO RADICAL ISLAM AS THE OFFICER CORPS DREW THE MAPS LEADING TO 9/11. nugent's STORY FOR ROLLING STONE, MY LUNCH WITH OSAMA BIN LADEN, REMAINS ONE OF THE MAGAZINE'S MOST CLICKED-ON INTERNET OFFERINGS SINCE IT WAS PUBLISHED, IN 2001. AFTER A LENGTHY ASSIGNMENT IN IRAN AND IRAQ, IN 2001-2, nugent EXITED THE GLOOM AND REFOCUSED ON AMERICA, ASSEMBLING NOTES FOR HIS BOOK DOWN AT THE DOCKS. A NEW BOOK IS UNDERWAY.